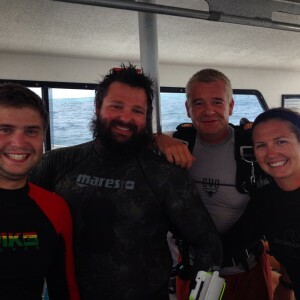 Florida Keys Dive Center offers PADI Open Water Scuba Instructors a full range of PADI Continuing Education Courses to make you more marketable. Although, life experiences are very important in the overall workings of a dive center or resort your ability to teach a wide array of student continuing education courses is paramount. In today’s dive business atmosphere the minimum usually acce pted for employment of a newly certified PADI Open Water Scuba Instructor in a dive center or resort is PADI Emergency First Responder Instructor, PADI Enriched Air Instructor, and at least 3 or more PADI Instructor Specialty ratings. These specialties vary from region to region. We are prepared to design a custom PADI Instructor Specialty Program to fit your exact needs. If you need help with your decisions or do not know where you want to teach, our staff is able to offer tips and suggestions that will lead you in the right direction. *This PADI program includes CPR, First Aid and AED use. This course is included in the Florida Keys Dive Center Instructor Development Course but is also offered as a stand-alone course. ** Deep Diver, Wreck Diver, U/W Navigation, Enriched Air and Search & Recovery. Additional specialties available upon request. ***The FKDC Resort-Retail Pro Instructor Course teaches the necessary skills and techniques for you to be an “instant impact” employee when hired for your first scuba industry job. Segments of the course include general and specific sales, store operations and design, boat operations, equipment repair, specialties, PSI Visual Tank Inspection Certificate, compressor and EANx membrane maintenance and repair. For a full explanation, please give us a call on our toll free number 1-800-433-8946. **** The FKDC 1-2 week Internship Experience is FREE OF CHARGE to those successfully completing the FKDC Resort-Retail Pro Instructor Course. The experience is an opportunity to hone the skills learned during your previous courses with us in real life situations. You will be involved in training of scuba students, working as a mate on our boats, working in our dive center with customers checking in and out, and generally be a part of our family during your time with us.